Commerce Ministry said that the trade ministers took stock of the state of negotiations across the various chapters at 7th RCEP Inter-Sessional Ministerial Meeting in Singapore on 12-13 November. 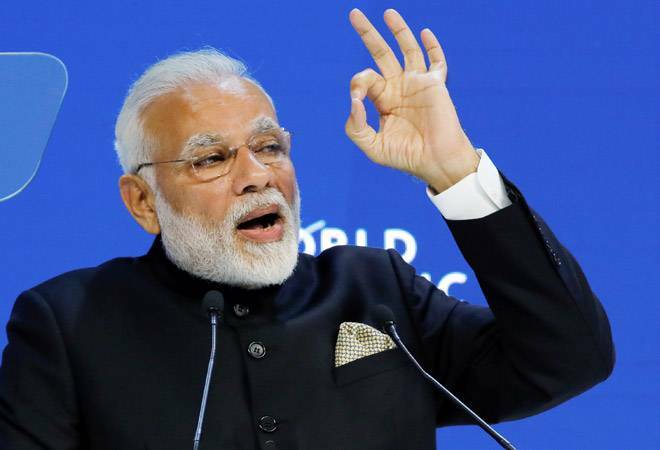 Even as Prime Minister Narendra Modi is all set to meet the leaders of the countries that are negotiating a mega free trade agreement Regional Comprehensive Economic Partnership (RCEP) in Singapore on November 14, trade ministers of the 16 participating countries, including India, have listed out the seven chapters in the negotiating text where they have made substantial progress. Any announcement in the form of year-end deliverables that may come after the RCEP Leaders Summit, hence, are likely to be in those areas that are covered in the chapters on economic and technical cooperation, small and medium enterprises, customs procedures and trade facilitation, government procurement, institutional provisions, standards, technical regulations and conformity assessment procedures (STRACAP); and sanitary and phytosanitary (SPS) measures. RCEP is being negotiated amongst 16 countries, comprising 10 ASEAN countries (Brunei, Cambodia, Indonesia, Laos, Malaysia, Myanmar, Philippines, Singapore, Thailand and Vietnam) plus six ASEAN FTA partners, namely Australia, China, India, Japan, Korea and New Zealand. The negotiators have so far held six Ministerial Meetings, seven Inter-Sessional Ministerial Meetings and 24 rounds of the Trade Negotiating Committee at the technical level. In a statement issued here, Commerce Ministry said that the trade ministers took stock of the state of negotiations across the various chapters at 7th RCEP Inter-Sessional Ministerial Meeting in Singapore on 12-13 November. Indian delegation was led by Union Minister for Commerce & Industry and Civil Aviation, Suresh Prabhu. The Ministers made an assessment of the progress on 'The Package of Year End Deliverables'. Suresh Prabhu underlined that 'substantial progress' has been achieved in the negotiations which should be reported to the Leaders. He impressed upon all the trade ministers to lend political support to fast track the negotiations, the release said. It also pointed out that India has managed to obtain balanced outcomes in the application of the Dispute Settlement Mechanism in both STRACAP and SPS negotiations. However, India showed flexibility on the principle of 'consensus' in the Institutional Provisions Chapter to help its successful conclusion. It was also decided that the negotiators will deliberate further on E-Commerce, Competition and Investment chapters where consensus could not be reached during this meeting. "Ministers urged the negotiators to intensify their work with a view of narrowing gaps and finding balanced outcomes in the negotiations with the aim of concluding negotiations by 2019," the statement said. Commerce Minister held bilateral meetings with his counterparts from Singapore, China, Japan and New Zealand. He discussed bilateral issues and progress in RCEP negotiations. He had also pull aside meetings with Trade Ministers of South Korea, Indonesia, Cambodia, Malaysia, Australia and Philippines to discuss matters of mutual interest, the release said.